By using this website and/or any products and services offered by [null], you agree to our Terms of Service. [null] is a brand that I have established in 2014 to provide various services, information, and sell my products under. While not at my full time job, I work on projects with my partner Tobi Sakatoi here in our small office. This is the [null] team. We are technology enthusiasts who like to spend our free time tinkering, programming, modifying, creating, breaking and repairing things. You can learn more about each of our roles and find our other online profiles by clicking on one of our avatars. 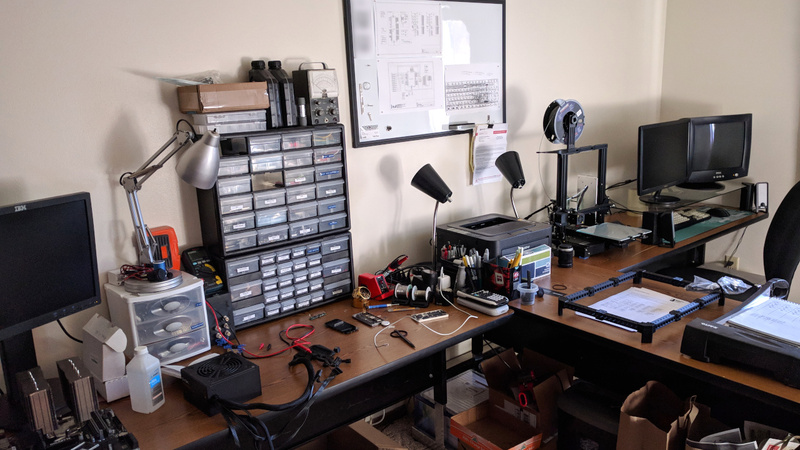 This is the workspace we use for most of our operations. Between the two workstation desks is our server which manages nearly everything. It runs Debian 9 as a hypervisor for each of our virtual servers/appliances and also serves as a high speed networked storage pool that each workstation connects to and boots from. 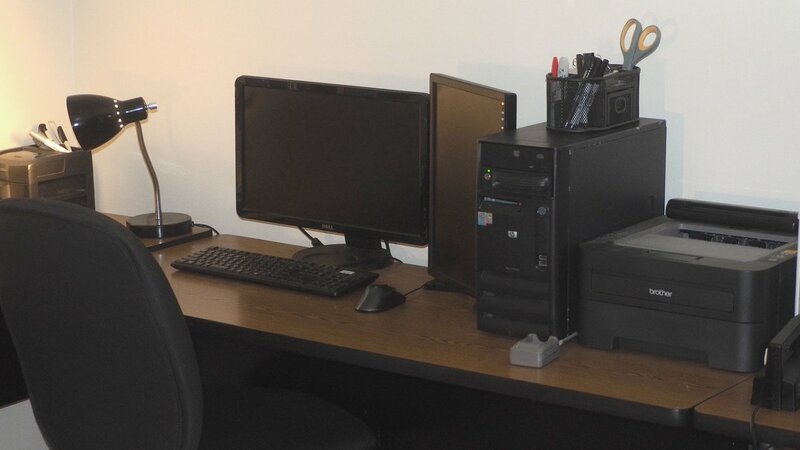 To either side of the server are the main workstations, these machines are fine-tuned, high-performance systems with enough devices and compute power to accomplish almost any task thrown at them. 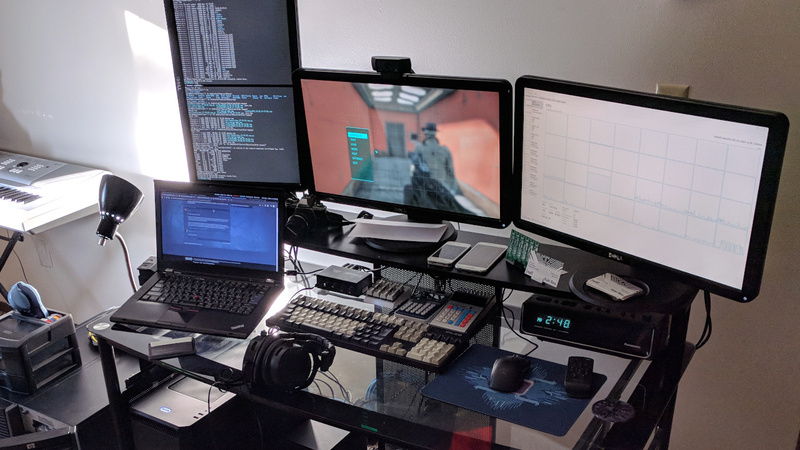 They consist of a plethora of custom hardware and software working together to create a setup designed to get work done as quickly and efficiently as possible. On the wall opposite the workstations are three workbenches. 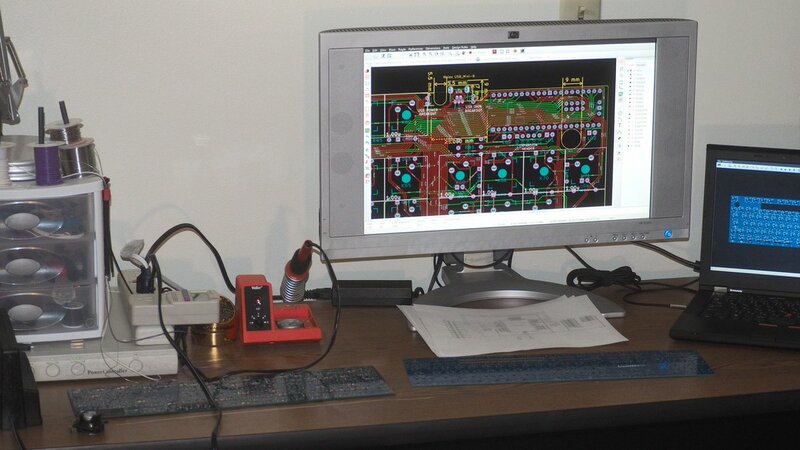 One electronics station with soldering equipment, tools, and a monitor for viewing schematics and data-sheets. To the left of that is an auxiliary workstation with our printer and a computer for visitors and additional help to use. This computer is made from all salvaged hardware stuck in an old PC case to create a monstrosity resembling Frankenstein's monster on the inside. In the corner is a table for assembling, testing, and maintaining our own and client systems. To protect your privacy and improve the experience of using the site, [null] features no advertisements or tracking scripts to help pay for operating costs and living expenses. Office space and hosting is payed for out-of-pocket. If you enjoy or find our content useful, consider purchasing one of our products/services and/or making a donation via patreon to help support us. You can use the following links to donate and/or visit our store. You can find articles featuring a variety of technology and design related content via The Archive or Articles page. We offer services varying from custom computer systems design and assembly to graphic design and more. You can browse all currently available services by visiting the Services category in our store. Original products are available via the Products section of our store. We also sell refurbished computer parts and electronics in the Hardware section from time to time so be sure to check periodically if interested. This is a brand new website which we have built from the ground up. There are many features to add and problems yet to solve, below is a few prioritized tasks that are on our to-do list.